12 wins & 15 nominations. Love and Basketball: Monica and Quincy have lived beside one another since they were kids, and they only care about two things in life - basketball and each other. I am definitely more of a movie fan than a basketball fan, thus I went in expecting a jock flick with a token relationship thrown in to justify the title. I could not have been more wrong. 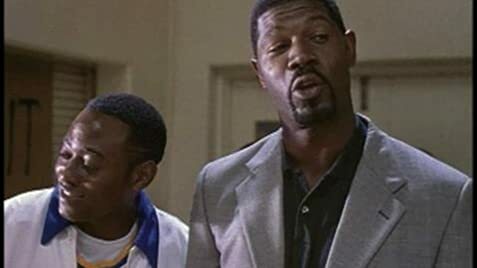 Unlike "He Got Game" (another very good film), which dwells solely on the negative aspects of the sport - hustlers, hookers, drugs and death, L&B concentrates on the positive things in life and basketball serves as the background rather than the focus. The story is very well written and works on several levels - it refuses to be pinned down as simply a romance or drama, choosing instead a careful blending of different elements. My only complaint - minor at that - would have to be the ending (and no I'm not going to tell you). First, how could I find fault with a film that actually does a great casting job with Tyra Banks? She has a small cameo role- she plays a beautiful stewardess, small stretch - with some great lines. Omar Epps brings his trademark cockiness to the role, and although it took me awhile to buy him as a basketball player -he's not exactly Goliath -he grows on you. More importantly, he exhibits and a depth and range that he's never shown before. Sanaa Lathan however, goes one step further, and demonstrates an intensity both on and off the court that puts her in a league all her own. Her performance can be summed up as superb. L&B is real, engaging, and enjoyable. Gina Prince-Bythewood's script sparked a bidding war after a reading at the Sundance Institute with Spike Lee's production company 40 Acres and a Mule winning out. When Monica's sister is doing her hair before the championship game, she says she has to leave at halftime for a study date. At the end of the game, Monica's sister is seated next to her father. The end of the creidts show Quincy's and Monica's daughter dunking a basketball .